3. Add in small amount of the liquid into your dry mixture and mix with a whisk or fork. To begin it will look lumpy but as you gradually add more liquid you should be left with a smooth batter. 4. For best results storing the mixture in the fridge for 30 minutes can improve the taste slightly but it's not essential. 5. 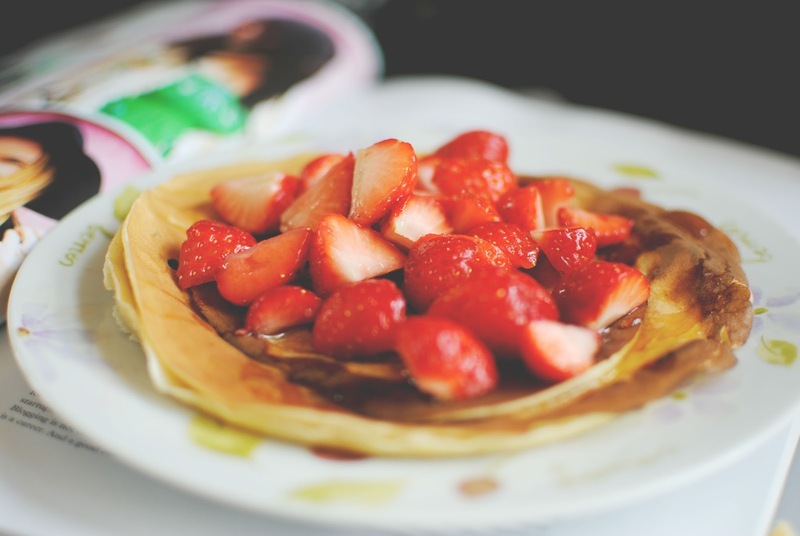 You can then cook your pancakes and top with your favourite toppings mine are defiantly strawberries and golden suryp, butter and sugar, and chocolate. 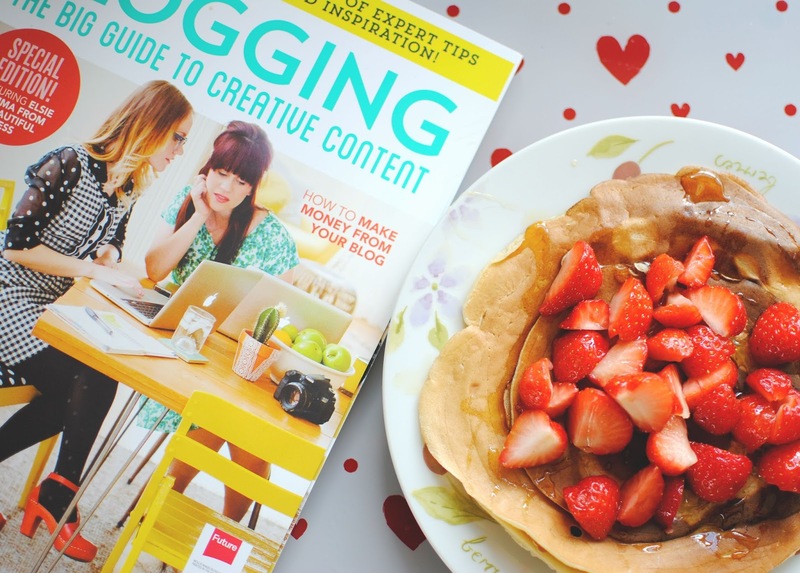 Do you enjoy making pancakes ? What's your favourite topping ? Oh my they look delicious! I really don't eat pancakes as often as I should. These look amazing! 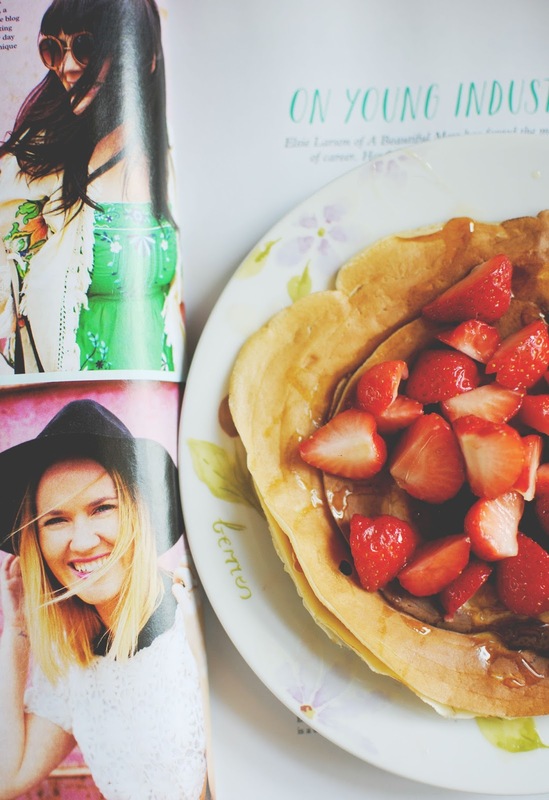 Pancakes are such an easy thing to throw together, I really need to do it more. I forget how much I love them until I see a picture like this that makes my mouth water! They look amazing! And love the photos! 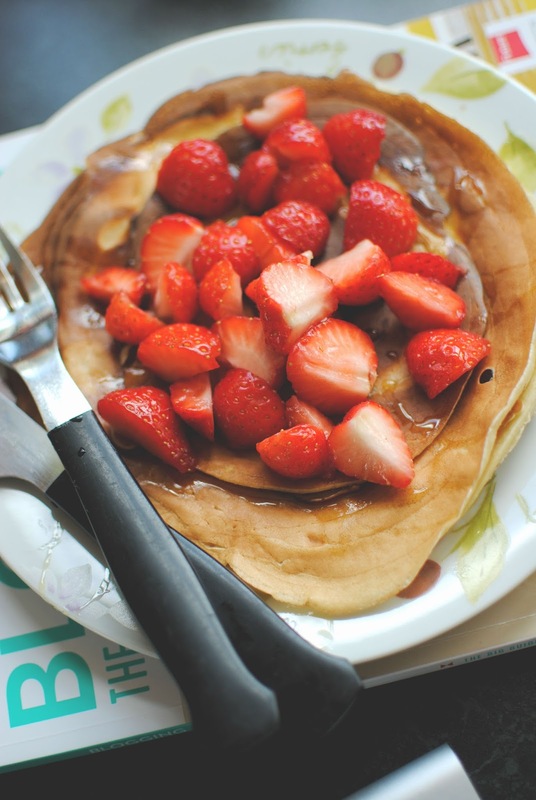 I love, love, love pancakes. But I never have a recipe at hand I am making a screenshot of this right now to always have it right there when I am lusting after pancakes. It also looks really easy to make!